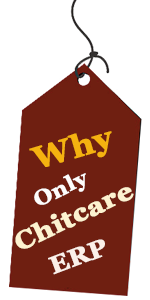 CHITCARE Member Module is very easy to use and very effective application for customers. Customers can use this app on their smart phones and see required details about their account. Every customer will be given individual user name and password. Once Customer logs into mobile, options like My Chits, My Outstanding, Account Copy will be visible. When we click on My Chits, it shows list of tickets where customer holds membership. It could be multiple tickets and some could be on his name and others may be on their family member’s name. In a way, it simplifies the task for them. Account Copy option shows Account ledger and details of payments made and dividend earned till now. We can select required group and see the ledger individually. Customer can see the account copy at their comfort. My Outstanding shows detailed outstanding details of tickets where he holds membership. It even shows outstanding subscription and penalty details. It is as good as logging into bank account on mobile to see account. It also helps to participate in online auctions and to make online payments. Overall, This application gives great comfort for customers and enhances the image of chit fund company. CHITCARE business agent module on mobile/tablet is an innovative solution, which helps business agents to simplify their tasks using any smart phone with chitcare app. This app is directly connected to chitcare ERP and business agents can view vacant details, Register New Members Details and generate advance receipts using this. Business Agent needs to enter his credentials and login. Newly commenced groups list shows the newly started groups across branches. A vacant Chits option shows the vacant chits, so that agent can be take business. New member option gives provision to register the member along with his details. It is also possible to take photo and signature of customer on the fly. It is just like the way banks open account for customers. Advance Receipt option gives provision to accept receipt from new member and this amount will be in advance form and once member is approved and group is allocated, receipt and member will become permanent. Agents will also have option to track their appointments from time to time through this application. Overall, it helps business agents to use their time effectively and generate more business, while it also enhances the image of Chitfund Company. CHITCARE Directors Module on mobile is a great comfort and control for chit fund management. Directors can login with their user name and password and see required details. Customers option shows Overall customers profile such as No. of NPS customers, PS Customers and SF customers. We can also see branch wise and overall across the company at a click. Outstanding option shows the overall current status of outstanding across all branches or single branch. It also shows type of member wise. Collection option gives details about current day collections as of now and yesterday collection at a click and it can be across all branches or for individual branch. Bid Payable Option shows the pending bid payable amount along with aging. Investment of Vacant chits gives data about overall investment made on vacant chits. Overall, it is a great tool for Management to take control of chit fund activities, irrespective of whether they are in office or outside the office. CHITCARE Collection Module on mobile is an innovative solution, which helps collection agents simplify their tasks using any smart phone with chitcare app. This app is directly connected to chitcare ERP and agents can view outstanding details and generate receipts using this. It is also possible to give receipt through small handy Bluetooth printer.